Hands down the best quit aid on the planet is your own will and determination. If you aren't motivated and committed to kicking the habit, no quit aid can help you. If you are ready to quit, any of them have the potential to work beautifully. That said, there are a variety of products on the market today that are designed to help people stop smoking gradually. Choosing one that is right for you is essentially a matter of preference, barring any medical concerns you might have. It's always a good idea to check with your doctor if you're thinking about smoking cessation to discuss what might work best for you before making a decision. Cold turkey is the term used to describe quitting smoking without the help of quit aids of any sort. The advantage of this method is that the majority of nicotine is out of a person's body within a few days. The discomforts can be intense, but physical withdrawal is short. A lot of people are able to stop smoking successfully by going cold turkey, but if this sounds too extreme for your liking, quit aids are a good option. Nicotine replacement therapies (NRTs) provide a measured dose of nicotine to help ease the physical symptoms of nicotine withdrawal. Unlike cigarettes, which consist of thousands of poisonous and/or carcinogenic chemicals, NRTs contain only nicotine. When used according to the manufacturer's directions, NRTs allow gradual withdrawal from nicotine by reducing the amount of it in each dose. 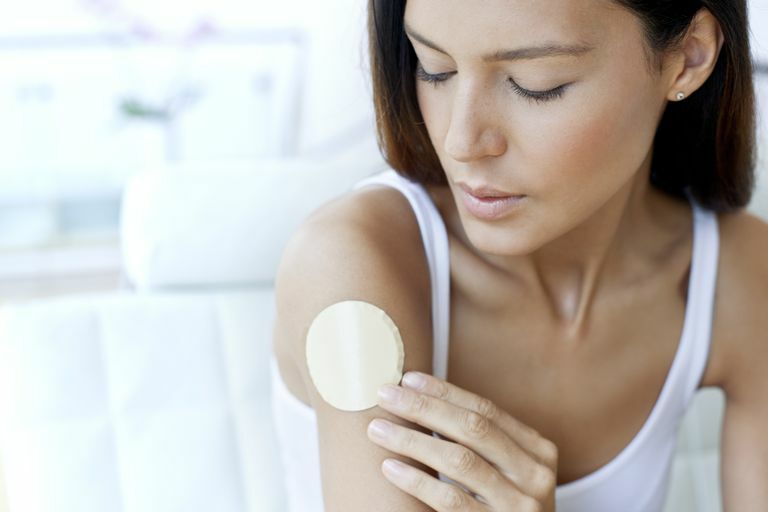 The nicotine patch is one of the most popular NRTs available on the market today. The nicotine inhaler consists of a plastic cigarette-like tube that houses a replaceable nicotine cartridge and a mouthpiece. The cartridge contains nicotine which is released into the user's mouth and throat when inhaled. The nicotine nasal spray is inhaled through the nasal passages several times a day to relieve nicotine cravings. The nicotine lozenge comes in the form of a small, candy-like tablet. When placed in the mouth and allowed to dissolve, nicotine is absorbed into the bloodstream. Used as a chewing gum, nicotine gum comes in two strengths: 2mg for people who smoke less than 25 cigarettes a day, and 4mg for those who smoke 25 or more cigarettes a day. Because NRTs contain nicotine, the addictive component in tobacco, there is a slight risk of addiction when using these products. However, if you follow the manufacturer's directions carefully and wean off the NRT of your choice as specified, this can be a safe and comfortable way to end your smoking addiction. Several quit aids are available now that do not use nicotine as the active ingredient. The following therapies are given under a doctor's care only. Bupropion hydrochloride, marketed under the names Zyban, Wellbutrin SR, and Wellbutrin XL by GlaxoSmithKline, is an anti-depressant drug that also works well as a quit aid. It has been shown to dramatically reduce physical withdrawal symptoms associated with nicotine. Discovered and developed by Pfizer, Inc, varenicline tartrate is marketed under the trademark of Chantix. Approved by the FDA in May 2006, Chantix has the unique ability to partially activate nicotinic receptors in the brain, which reduces cravings to smoke Additionally, if a person smokes during the course of Chantix treatment, the drug impedes smoking satisfaction by blocking nicotine from binding with these same receptors. Hypnosis puts people into an altered state of mind where they become more susceptible to suggestion. It can be used to quit smoking, and while it seems to work well for some, it isn't for everyone. Learn what you need to know to decide if it's right for you. In his book, Quit Smoking Without Gaining Weight, hypnotist Paul McKenna shares insight and practical tips about how to successfully quit smoking (and at the same time, avoid weight gain) by reprogramming our minds. Acupuncture is an ancient Chinese medical practice which uses needles placed at specific spots in the skin to treat pain or disease. It can be used to treat addiction to nicotine. Lobelia is sometimes recommended as an herbal remedy for nicotine withdrawal. How well does it work and are there any drawbacks? What About the Electronic Cigarette? The electronic cigarette is a smoking alternative rather than a quit aid. It has not been approved in the U.S. as a quit aid as of yet, so there isn't a doctor-devised and approved quit plan to go with it. Even so, a lot of people use e-cigarettes to help them quit smoking. Withdrawal from nicotine is just one part of the healing process we go through while recovering from nicotine addiction. The rest of the story involves how we let go of the many mental associations that have built up over the years between smoking and our lives. Quit aids cannot help us with this aspect of healing, but support and education can. Research and select your quit aid/method of approach, add some support and education, and you're on your way.